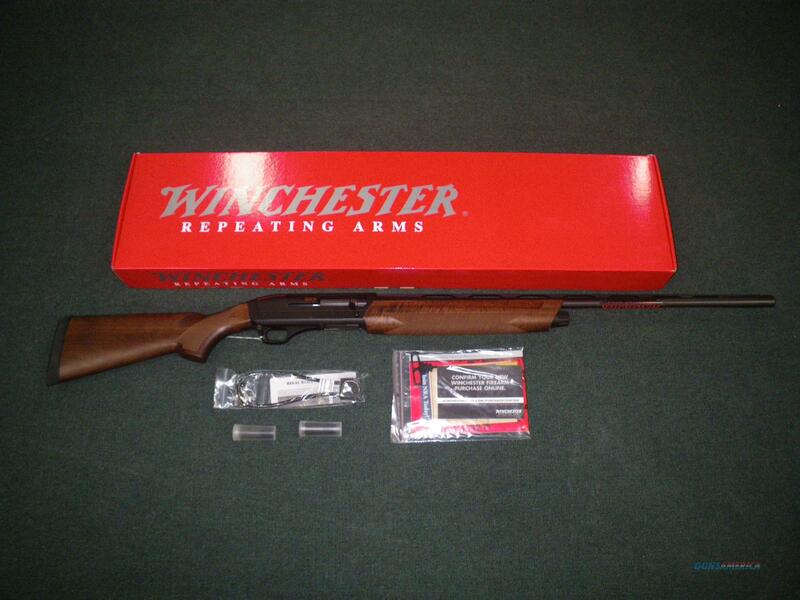 Description: You are bidding on a new Winchester Super X3 Field in 20ga with a 28" barrel and 3" chamber. If you like the traditional look of fine walnut, you’ll love the Super X3 Field. From its trim lines and crisp cut checkering to its premium Pachmayr Decelerator recoil pad, the Super X3 looks good and shoots great. The Super X3 — still the fastest shotgun afield. Invector Plus choke tubes are the most proven and successful in the industry and they are standard. The back-bored barrel improves pattern performance and the vent rib with brass front bead keeps you on target. Of all the Winchester Super X3s this model excels the most in recoil reduction. With lighter loads it is a joy to shoot. Three choke tubes are included, Full, Modified and Improved Cylinder. Displayed images are stock photos. Any questions please feel free to ask (our phone number is in the additional information tab above).